Moving 250 miles through the sky is a box-sized bundle of detectors and electronics called Delling. The eponym of the mythological Norse God of Dawn, Dellling belongs to a new generation of spacecraft known as CubeSat. 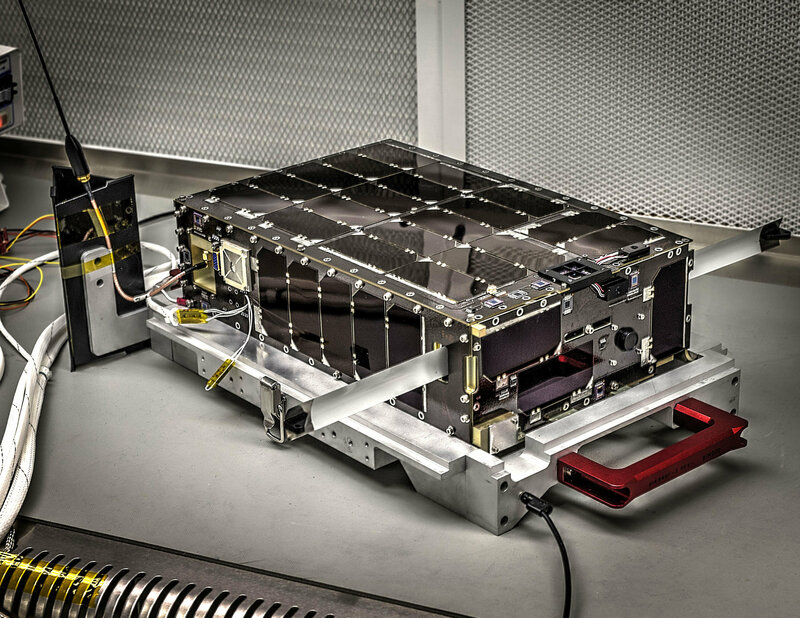 These small satellites, measured in standardized units of 10 × 10 × 10 cm 3, weigh no more than a few pounds – and have little resemblance to the larger, van-sized spacecraft such as the Hubble telescope, for which NASA is known. But SmallSats, which includes a variety of sizes, including CubeSats, are an increasingly valuable tool in the space scientist's arsenal. But CubeSats is still in its infancy, and the mission's likelihood of success is nearly 50 percent. A team of scientists and engineers from NASA's Goddard Space Flight Center in Greenbelt, Maryland, began their search. Your goal? To build a more resilient CubeSat that can handle the inevitable aircraft crashes that threaten any spaceship without breaking. They wanted a little CubeSat that could. It was new territory for her – an engineering par excellence. The team was used to building large spacecraft with the layers of processes, analysis and testing that made them reliable. Moving to CubeSats requires adapting or, in some cases, creating new processes and approaches, changing organizational structures while working quickly and with a limited budget. But it was an experiment worth trying, as the lessons they would surely learn would benefit the entire CubeSat community. They came to work in 2014, and after three years of development, Delling was ready to flee. At the time of writing, Delling flies over his head, transmits valuable scientific and technical data, and works out the last knicks. But Delellr's journey was anything but smooth: the story of his launch, the ensuing complications and successful corrections is a classic NASA story of perseverance and ingenuity. 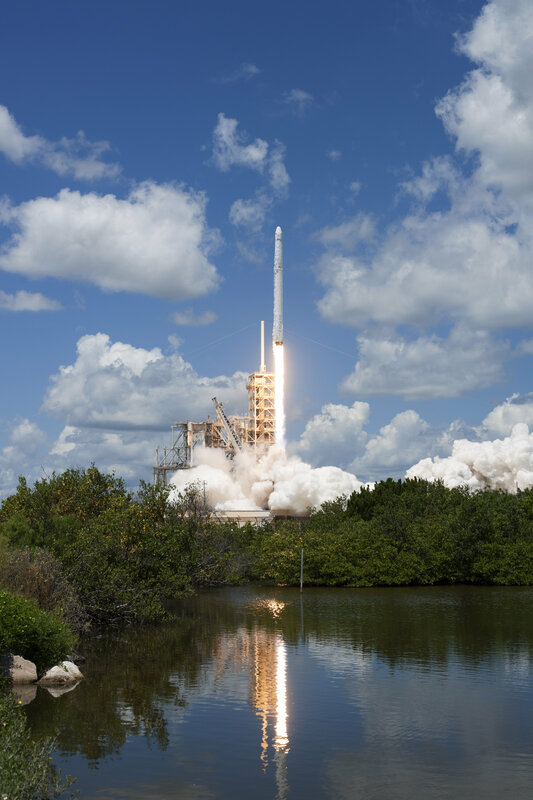 Delingr launched a Space-X Falcon 9 rocket on NASA's CRS-12 mission to supply the International Space Station. It sat for the next three months as cargo to use. When Dellling escaped the ISS, the team's excitement immediately struck as they noticed small appendages sticking out of the spaceship. A magnetometer designed to measure Earth's magnetic fields and an antenna were already sticking out, even though they had been programmed for 30 minutes after deployment. Something was wrong. Investigations revealed that the spacecraft was inadvertently turned on during preparation for deployment, triggering the magnetometer and antenna inside the deployer – and shutting down the spacecraft's performance. Delringr had been thrown into space with a dead battery. Fortunately, Delling, like most CubeSats, does not need the drive to stay in orbit. Although "dead" in the air, the small satellite staggered through space until its solar panels (which cover every surface of the spacecraft) sufficiently recharge the battery. Eight hours later, Dellingr made his first flight over his ground station at the NASA Wallops Flight Facility in Wallops Island, Virginia. Data from the spacecraft indicated that it was fully functional, automatically pointed to the sun, and had a healthy battery charge. Despite the anomalous unfolding, the spacecraft otherwise worked perfectly as planned. In addition to two magnetometers designed to measure Earth's magnetic fields, Delling has a device called Ion Ion Neutral Mass Spectrometer (INMS) that uses both ions as well also measures neutral particles in the atmosphere. The INMS instrument has never been fully validated in space. Showing what it could do was a major goal of the mission. However, before it could be switched on, INMS had to complete the outgassing process – so that harmful residues from the earth's atmosphere could evaporate from the spacecraft. Nothing to do but wait. Delelling partly determines his orientation by finding the sun and tracing its position as it circles the earth. On November 30, the team noticed that Delling was not holding on to the sun and fidgeting in the room. The spacecraft's orientation control system turned its reaction wheels – which rotate to tilt the spacecraft in one way or another – while trying to correct the course. But down on the ground something did not look right. Delling has two sun pointers: a tailor-made, high-precision and a commercially-bought and flight-tested (albeit at a lower resolution). Only the custom sun-pointer returned wild-looking data. The spaceship did not wobble – the custom sun-pointer did not work. The Delling engineers invited the Quick Fix code to take it offline until they could find out the root cause. But before they could do that, an even bigger problem arose. 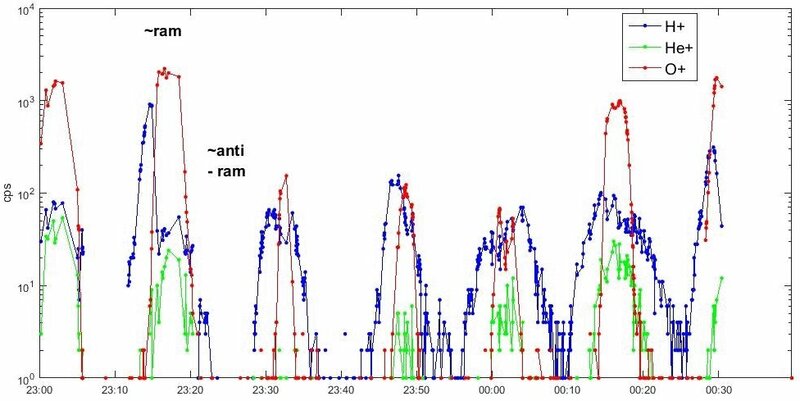 Less than a month into orbit, Delling commercial GPS system abruptly reduced its performance, dropped in temperature and stuttered to a stop. The GPS system was dead. The loss of GPS meant that the team could not pinpoint Delling's position – and they could not determine its direction of movement, which is crucial for proper alignment of the INMS instrument. INMS works like a snow plow and shovels up ions and neutral particles at the forward end of the spacecraft as it flies through space. Without GPS, they could not be sure that the bucket was pointing in the right direction. The team put Delling in the minimum mode of operation and started working on a plan on how to carry on without GPS. By the middle of January, they had worked out a plan and were preparing to implement it. But again a new problem arose. spacecraft in orbit are always in danger of getting so-called single-event upsets that can destroy the starship's electrical signals – such as cosmic high-velocity radiation or high-energy particles to be met by the sun. To guard against one-event glitches, Delling was developed to perform a once-daily full-spacecraft reset to keep itself fresh; This reset had already protected the spacecraft several times. In addition to the daily reset, Delling resets when it sees something wrong. While an occasional reset was not a concern, Delringrs started more often in mid-January than they should. By January 27, Delellr was reset every 63 seconds. Communication with the ground became impossible. Delell was in a state of restrained palsy. 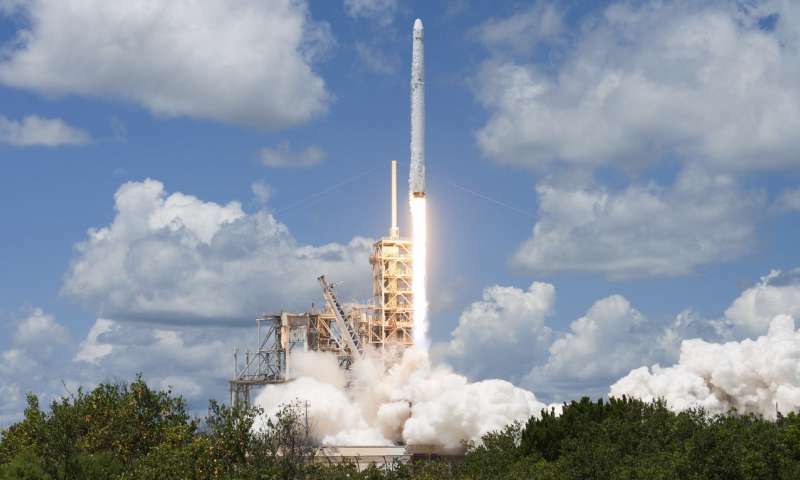 On the ground, the team had traced the reset problem to a line of code in a low-level device driver that included the communication protocol used to control the reaction wheels used to align the spacecraft. They had to turn off the reaction wheels, but the constant resets prevented them from fulfilling the appropriate orders. The team slipped into the plan: on a pass over Delling's ground station in Wallops Flight Facility, they sent a repeated series of commands to the spacecraft at a fast pace to effectively stow the computer so that it never got far enough to reset , If they could block it long enough, it would trigger a full energy-reset – the equivalent of pulling out the computer – giving them time to upload the solution and turn off the spacecraft's reaction wheels. It was a long shot but still her best bet. Passing through Wallops on 6 February, the team tried the trick and waited 90 minutes for the next pass to check the results , Shortly thereafter, they received an e-mail from the ground operator: "We confirm Delling back to business." It worked. Later that day, the team switched on the INMS instrument and the first scientific measurements of the ions in the atmosphere with the new INMS instrument were collected. The Delelling team validated the ion content of the INMS instrument, achieving one of its key mission goals. To solve the reset problem, Delling's engineers had switched off the spacecraft's reaction wheels – the most important reorientation tool , As a result, it could not remain stable and instead slowly rotate over its orbit and collect data only when the INMS instrument rotated through the front where it could scoop up particles. After some time, the team realized that the wheels could be used to a minimum – up to 24 hours at a time – without causing the resets. They devised a timetable to turn on the wheels at the beginning of each week, adjust the alignment and turn them off for the rest. It worked – for a while. On March 6, it became clear that minimal use of the reaction wheels was not enough: Delelling had jumped in unchecked rotation. Shaky as a badly thrown football, Dellingr spun more than three times faster than his orientation control system could handle. Over the next two months, the team worked on software solutions to control the speed of Delellr's spin without using the reaction wheels. The technique they agreed upon was based on the fact that magnets want to be aligned. The earth is a huge magnet, and Delell contained three electromagnets that could be turned on and off by the spacecraft. By using Delling Magnetometers as an orientation tool to capture the earth's magnetic fields and to accurately timing each on-board magnet, the spacecraft was able to exploit physics to slow its spin and align the spacecraft with its direction of motion. After the third implementation of the De-Spinning algorithm was uploaded and launched, the spaceship had stabilized. Delell had taken a very slow, controlled spin that rolled like a wheel in its orbit. 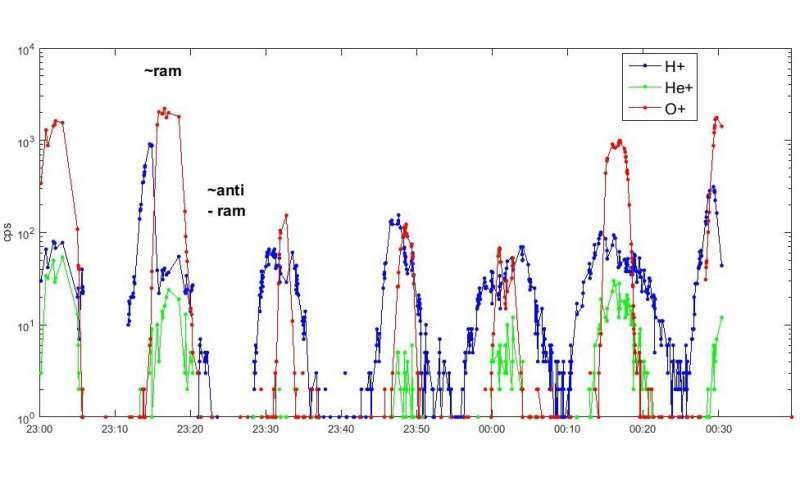 The INMS instrument now rotated forward with a regular, predictable cadence. With a controlled spin of the spacecraft, the INMS data went from a loud noise to chaos, periodic waves of data. After considering spacecraft rotation, the results were surprisingly clean, demonstrating the presence of ionized hydrogen (H +), helium (He +), and oxygen (O +) in the atmosphere. Valid data from the INMS instrument-in-ion mode – continue to pour in. The slightly more complicated neutral mode is still offline, but is at the center of current efforts. With a large software upload that took several weeks to complete due to restrictions with the CubeSat radio, the team took full control of the reaction wheels restored so that Dellling could maintain his orientation to the sun. The solar modules can now charge for maximum power while Delellr slowly turns around this axis collecting data. Almost a year after deployment, and after a series of unexpected issues had been overcome, the team had restored much of Delling's functionality. Work on the neutral mode of the INMS instrument continues. The show is not watching the sky to follow the story of this little CubeSat that could.